Our promotional pen formally known as the Pizzaz Pen has been renamed the New York Pen. The name change has come about because of a change of factories for this pen. The promo pens is essentially the same pen but we felt it was time for a change. The new name is in keeping with the status of the pen as a premium plastic promotional pen. Although we have a lot of popular custom printed pen the New York Pen has always been sort after in promotional products circles due to it curved shape and elegant style. The New York Pen is a versatile promotion pen that has a nice print area for your logo. Any logo will look great on this pen due to its unique shape. Although the style is unique it is still a subtle look which will complement any promotional campaign. Promotional pens are always a great additional corporate gift. They add when to gift packs and are easy to give away at trade show stands. People love to receive them and they are an inexpensive gift to give. If you are looking for a custom printed pen for your next event then look no further then the New York Pen. It is sure to impress your customers. When you buy any promotional products, you want them to have a positive impact and make an impression on customers. 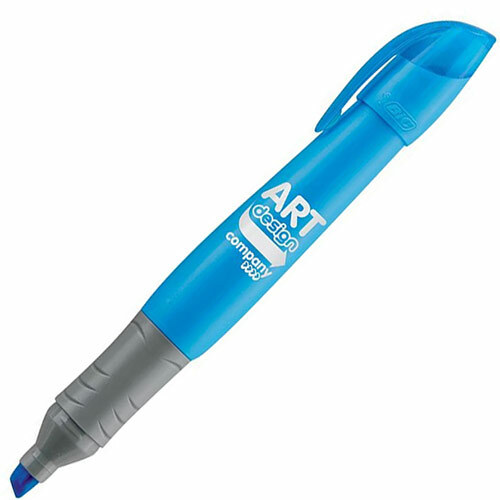 Just as you use various sophisticated marketing techniques to reach out to your target audiences, you should also consider investing in eco-friendly promotional pens. We at Ezy Promo Pens, cater to businesses of all shapes and sizes and customise different types of pens for them. Eco-Friendly – Investing in green items is always a good idea because it helps you do your bit in reducing the burden on Mother Earth. This may seem like a very small contribution, but every small effort counts. If you are a large company, buying thousands of promotional pens each year, the eco-friendly pens are a great way of staying away from plastic products. Affordable – It’s a common misconception that eco-friendly products are unduly expensive. But this is a fallacy. Our eco-friendly promo pens are quite easy on the pocket. Since they are unique in appearance, it’s easier to make the right impact. This means they provide a better ROI in the long term. We have a wide variety of eco-friendly pens to choose from and these products are a great way of staying in the eye of your target market. If you want to know more about our promotional pens online here at Ezy Promo Pens, just get in touch with us today. Our number is 1300 753 675 and our email is info@ezypromopens.com.au. You can also contact us through this form and we’ll reply as soon as possible. How Effective are Printed Promotional Pens As Promotional Items? Today, the entire business world is veering towards digital marketing and prefer targeting customers via various online channels. While this is an important aspect of any marketing strategy, it’s also very important to maintain the right balance of online and traditional marketing methods like distributing promotional items. We at Ezy Promo Pens have seen that many companies have recognised the importance of these marketing methods and use printed promo pens as part of their marketing campaigns. Logistics – Whenever you implement any marketing strategy, it’s important to keep a number of aspects in view. 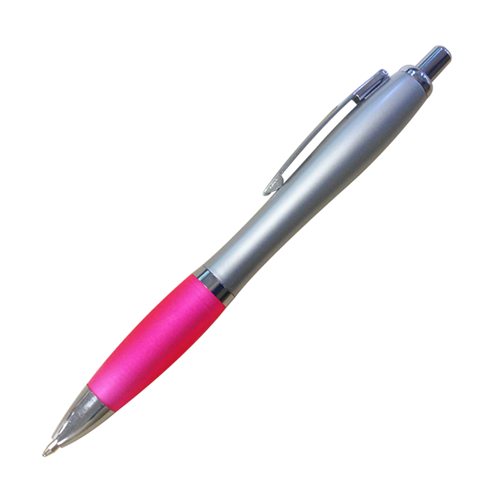 Printed promo pens are easy to transport and very easy to distribute to larger crowds. You can pack thousands of pens in a carton which makes it very easy to transport them to the conference, fair or promotional venue. Cost-flexibility- These pens are highly affordable and you can find something in different price ranges. For example, if you want to hand out something to a larger audience, you can opt for plastic pens that have a lower per-unit price. If you need to distribute pens to important clients at conference or business events, you can opt for something from our premium range. Return on Investment – We have a wide range of very good quality pens and also use highly advanced printing techniques, so our clients have the best products. This provides you a very high ROI. If you need promotional pens, buying them online is a good idea. The process is easy and quick and when you choose to order these products from us, you have the option to customise the pens, add text, your corporate logo or even a tagline if you like. We at Ezy Promo Pens like to make things easy for our customers; here is a promotional pen buying guide that can help. You will find that our store has a variety of pens; these could be made of metal, wood, and plastic. We also have a good collection of luxury pens and you are sure to find something that suits your preferences. When you are choosing pens, make sure it has the right kind of surface to print the information you need. If you feel that the colour of the pen won’t complement the colour of your company logo, its best to opt for pens of a different colour. This is the final step in the online promotional pens purchase process. Determine the colour of the printing and add the company name or logo. You will find a wide variety of promotional pens online on our website. For more information about our high quality printed promo pens just get in touch with Ezy Promo Pens at this number- 1300 753 675. You can also connect with us via email- info@ezypromopens.com.au or through this form and we’ll reply soon. The business backdrop has changed significantly over the time. Every company tries very hard to offer the best items and services to maintain their business’ image and branding. In this competitive market, most companies choose customised items and printed promo pens for their promotional and marketing campaigns. You can order custom-print pens to gift associates or customers. They can also be circulated during your company fairs and events. Why should you opt for printed promo pens? Small and portable– Pens are highly functional and portable. It makes them the right kind of merchandise to give away during company events and conferences. As a matter of fact, many companies that organise these events choose to hand out printed promo pens as their ideal merchandise. Variety– The pens are available in numerous shades and styles. You can also get customised pens to match your company logo and colours. This can make them ideal products for your company marketing campaigns. Suitable for everyone – People always wonder if customised printed promo pens would look formal enough to hand out during company events. Customised merchandise not only adds to your company’s image but engances its reputation as well. The best printing techniques lend a stylish appearance to the pens, making them ideal for high-level business meetings or events. Ideal for educational institutions– Many institutes and colleges like to have printed merchandise for their programs and events. We can print customised inspirational quotes for the products you choose, in vibrant colours which can make them ideal gifts for students. Set your budget – This is the very first step. Determine what quantity and types of pens you need before you visit any website. Check what the cost of each unit is including taxes and shipping to see what the total cost would be. Check whether this fits into your budget and then move to the next step. Type of pen- We have different types of pens, such as ones made of wood, metal, plastic, and luxury pens. Check the design and cost of the different pens available online and determine which ones you need. The model you choose should offer good base for your company name/logo. If the design seems like it will clash with the logo, or your corporate colours, pick a different design. Company name style and logo printing- Chose what colour printing you want for your company name or logo. Ensure it’s positioned well and don’t add too much information as that will only clutter the pen’s design. Make sure the print colour doesn’t blend in completely with the design and colour of the pen as you want your logo to be clearly visible. If you want to know more about the promotional pens online at Ezy Promo Pens, just get in touch with us today. We provide customised services and you will find our products to be of very affordable and of high quality. You can call us at 1300 753 675 and our email is info@ezypromopens.com.au. You can also contact us through this form and we’ll reply as soon as possible. Set your budget – This is the very first step to shopping for promotional pens online. Look at what the cost of each pen is and then calculate the total cost of the number of pens you need. Don’t forget to include shipping charges & taxes and the printing if you want that done as well. This will give you a clearer idea about whether the pens fit into your budget. Type of pens- You will find that our store has a wide variety of pens that you can choose from. If you want something for large-scale distribution, you should opt for plastic pens. If you are looking for something that you can give important clients and your employees you can check our luxury pens and metal pen range. When you are choosing a pen, make sure there is plenty of surface area where you can print your company name and logo or any other text you need. Company name styling- This is the final step of the process of purchasing promotional pens online. You need to determine the colour of the printing and the design as well as your company name. Opt for a clear & simple design and colours that will stand out from the colours of the pen. For more information about our promotional pens online at Ezy Promo Pens, just get in touch with us today. Our number is 1300 753 675 and our email is info@ezypromopens.com.au. You can also contact us through this form and we’ll reply as soon as possible. As a business owner you look for ways and means of attracting customer attention and expanding your brand reach. And one of the simplest ways to do this is opt for the right types of promotional products for your marketing campaign. Printed promo pens are an excellent way to spread the word about your brand and attract the attention of prospective customers. Plastic pens – They are an affordable option that perform well and write very smoothly. They are a good choice for large scale distribution at trade fairs and other similar events, but not something you would like to give very important clients. Metal pens- The cost of these pens is slightly higher than plastic pens, but they are structured much better and are sturdier. They feel luxurious and look elegant as well. This makes them the ideal printed promo pens for important clients, employees etc. Luxury pens- We carry pens of well-known brands such as Waterman, Parker and BIC. Not only do these pens function very well, but they look great too. They are special pens that you can give to special clients at important events. We all know that promotional pens are a great option when assembling promotional products for a marketing campaign. Two of the most popular branded promotional pens are Parker Pens and Bic Pens. Both have very long histories in the pens market and both were pioneers from the early day. But the Parker Pen and Bic Pen are very different pens when dealing with a marketing campaign. Whilst they are both great pens as a promotional gift, the type of campaign you are trying to run will ultimately determine which pen you chose. Parker Pens have been around for a very long time and have always been viewed as a premium pen. They are the type of pen you give you kid when they graduate from university or to a special friend as a gift. They have also always been a mainstay of the corporate gift industry. Parker Pens come available for different budgets. You can find a Parker Pen from anywhere from $20.00 to a couple of hundred dollars. They are also available in exquisite packaging to enhance the gift giving experience. Bic pens on the other hand are a more mass market pen. While they are cheaper then Parker Pens, Bic pens are still considered a premium pen. They have a long history in both the consumer pen market and the promotional pen market. Bic pens have been a mainstay of the promotional pen market for many years now. They also have a variety of pens that come with different price points but they are nowhere near the mark you find with Parker Pens. Considering the price difference it is safe to assume that they would be used for different types of promotional campaigns.